November has arrived with brisker air and comparative calm after Sunday night’s monumental winds and rain. Our town is still mostly without power, but neighbors are helping neighbors in the true Maine spirit. Why are the lyrics to “The Maine Christmas Song” suddenly playing in my mind? School for us has been closed for three days, and I’ve accomplished a lot on my “to-do” list, including sleeping nine hours last night. I’ll let the photos tell the rest of the story. Look for another post soon about an initiative to get Upwards into our libraries. Friends and family, including Phil, Linda, Sue, and Mary did everything but sign the books. Also helping were Pam, Mal, Bill, and Hannah – hats off to you all for the delicious food, cashiering, videography, photography, and more. It was a perfect afternoon! On a book signing visit yesterday, I safely passed (twice) under this tree held up just by wires. Today would have been my maternal grandmother’s 110th birthday. 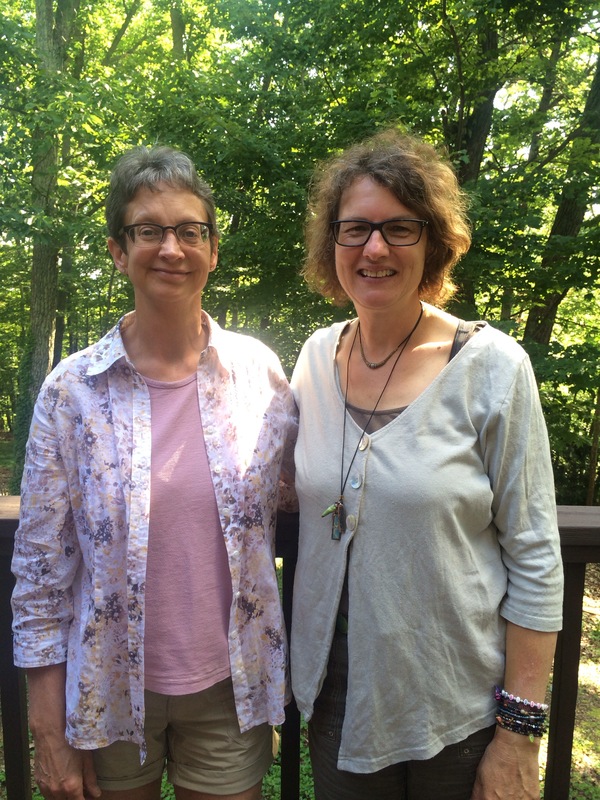 Growing up, Grandma Jan and I shared a love for books and birds and wildflower walks. 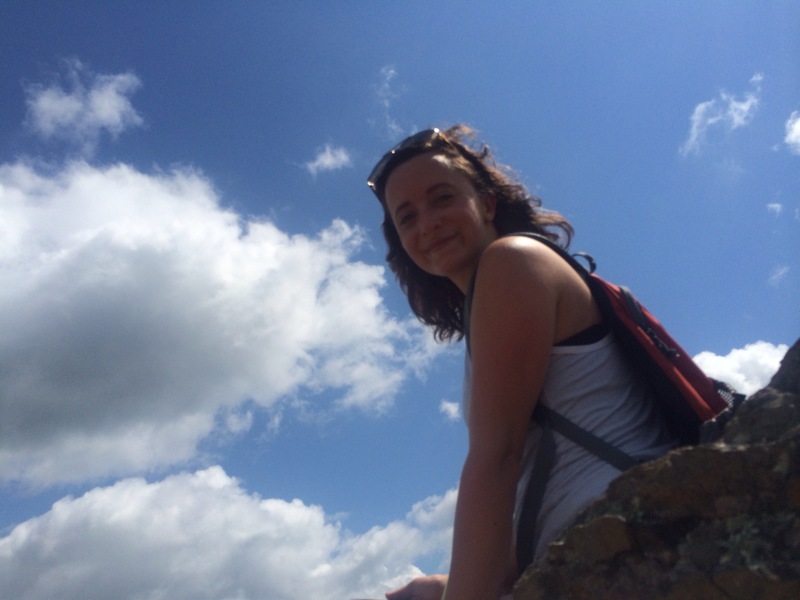 Through her, I discovered treasured favorites like The Secret Garden, and she encouraged me to publish my first article at age 13. I have chosen today, October 19, 2017 as the official release date for Upwards, in honor of a very special woman. The weather has been glorious for fall paddling with family and friends. Karen Jones, who I met at the Maine Canoe Symposium, joined me for a paddle (and swim) on nearby McCurdy Pond. Friends who are reading Upwards like it. A simple statement, but imagine writing for well over a year, then transforming those words into a book (over another long five months), then handing a copy to a friend. And holding your breath..
You can now purchase the book here, as well as on the Northern Forest Canoe Trail and Maine Authors Publishing websites. Our Amazon listing is a work in progress, as we are debating which categories and keywords to use. 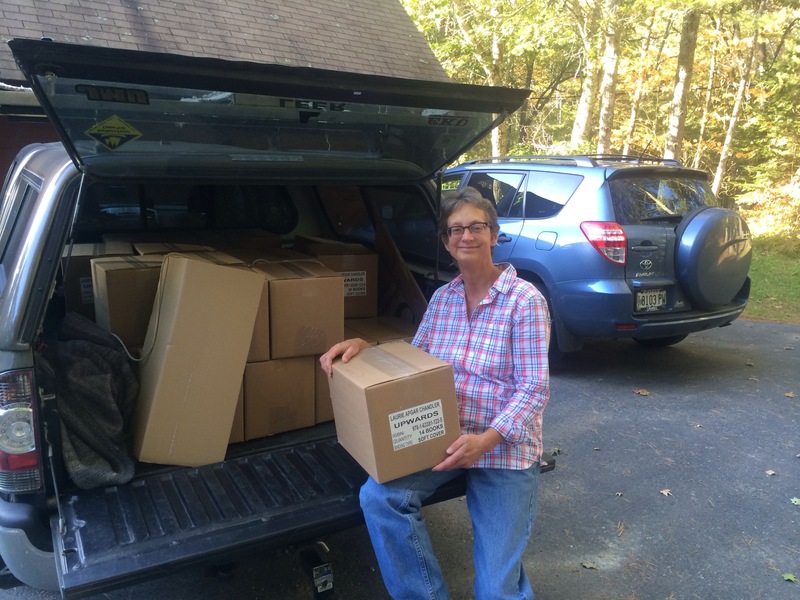 Books are on their way to or have recently arrived at: The Maine Coast Book Shop in Damariscotta, The Corner Shop in Greenville, The Birches Resort in Rockwood, Ecopelagicon in Rangeley, and even Newbury Kayak & Canoe in Newbury, MA. This coming weekend, I will be in North Conway, NH speaking at a conference of the U.S. Power Squadrons. If you’re in the area, the public is welcome to stop by Sat., Oct. 21, from 2 to 5 p.m., downstairs in the North Conway Grand Hotel. I’m bringing my canoe and gear and will, of course, be signing books. More news soon! Somehow, I was still floating on cloud nine yesterday afternoon, even after discovering exactly how heavy 1,000 books truly are. Most of them are now tucked away upstairs, after Dad, Mom, and my Aunt Sue drove to Cambridge, Massachusetts to pick them up. I love them. I adore them. I slept for eight hours last night and have woken ready to start shipping. Then, this evening, I’m doing a short talk for the Penobscot Bay Sail and Power Squadron in Bangor, Maine. It’s started and I’m loving it! The official book release date has been set for Thursday, October 19, 2017. That would have been my Grandma Jan’s 110th birthday…good memories and a good feeling about choosing that date. By then, I hope to have the books available for purchase here and on Amazon. You can already find them for pre-order in the Northern Forest Canoe Trail’s online store, where members receive a 15% discount. So thank you, readers and friends, family and organizations, for patiently waiting! After returning home from Virginia (and waiting for the laptop that I left in my bedroom there to arrive by Fed Ex), it was time to accept or reject Dan’s edits. Dan Karker, my editor from Maine Authors Publishing, not only found mistakes, but added consistency to the style and formatting of the manuscript. And boy did I have a lot of commas to move around! I added scene breaks, cleaned up my bibliography, and even paid $90 for permission to use two opening quotes from Sigurd Olson that were dear to my heart. 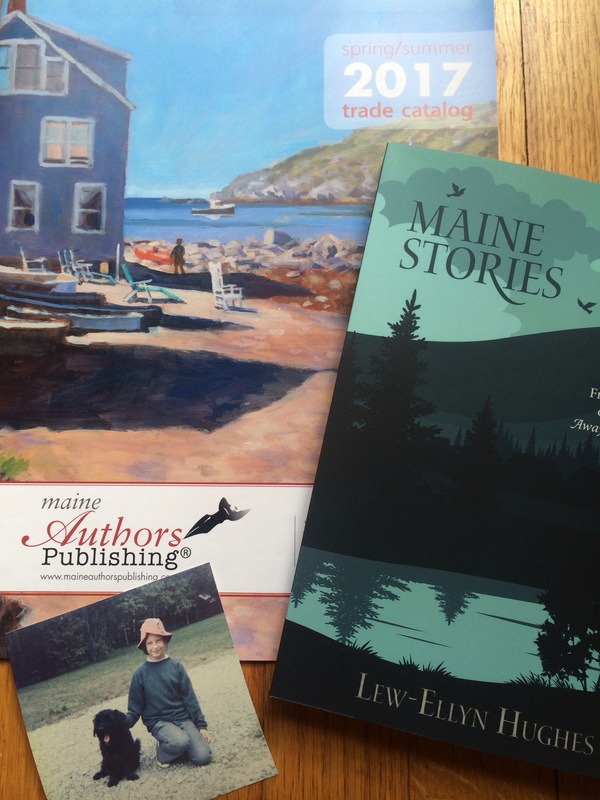 With the edits finished, photos chosen and captioned, and graphics in hand, it was time to go up to Maine Authors Publishing for the design meeting. From here on out, the book will be in the designer’s artistic hands. Decision by decision, the interior layout is coming together, as Wendy Higgins translates my ideas into PDF drafts. Next week I hope to receive the first full-length layout, and September 1 is the finish line, when the press proof must be done. What a delightful surprise and honor to have Gil Gilpatrick feature Upwards in his August column in the Northwoods Sporting Journal. Gil, the author of Allagash: A Journey Through Time on Maine’s Legendary Wilderness Waterway, has inspired both my paddling and writing journeys over the years. Look for a trip report from our Jackman area NFCT trip in my next blog post! Upwards: Two months to go! Last Thanksgiving, my daughter Megan and I chose some photos as candidates for the book’s cover. She’s a graphic designer and had been working her magic on them, but hadn’t given me even a peek. So I was beyond excited to see the two versions she liked the best. 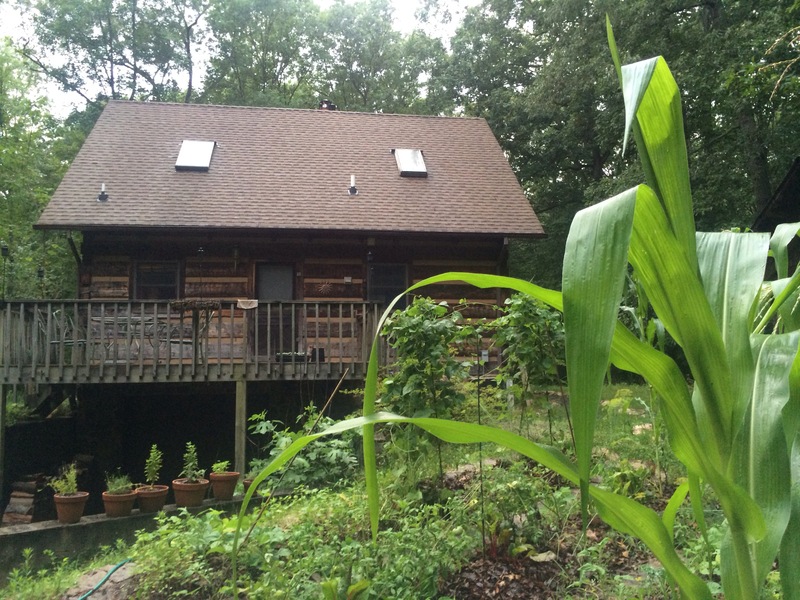 View of the log cabin from Jacob’s garden. Visiting for a week has given us lots of design time together. Friday was the evening, and we sat in the darkening living room as the first cover appeared on the computer. My heart jumped. There was Upwards and my name and it looked like a book, a beautiful book. It was absolutely an amazing moment, and then I liked the second version, Megan’s favorite, even more. Yesterday, the afternoon drifted away while Megan fine-tuned the cover and I worked on photo layout for the inside. Who would have dreamed that publishing a book would have so many steps? I’m frazzled. There’s still so much to finish up. My editor at Maine Authors Publishing has given me his corrections, and each has to be accepted or rejected. I’m digging out childhood photos, getting the last few stubborn permissions, and searching for quotes in the public domain, to replace a few from Dr. Suess and Winnie-the-Pooh that I’m scared to use. Inspiration comes from every attractive book I see and there sure are a lot of pretty books out there! Katina and Sam treated Megan and me to breakfast at the Iris Inn, where we congratulated her on finishing her AT thru-hike and talked map details. On Wednesday, I’ll head back to Maine and the upcoming design meeting, where we’ll finalize the rest of the interior look. Until then, we have plans to celebrate July 4th with lots of fun family togetherness and wish the same for all of you! 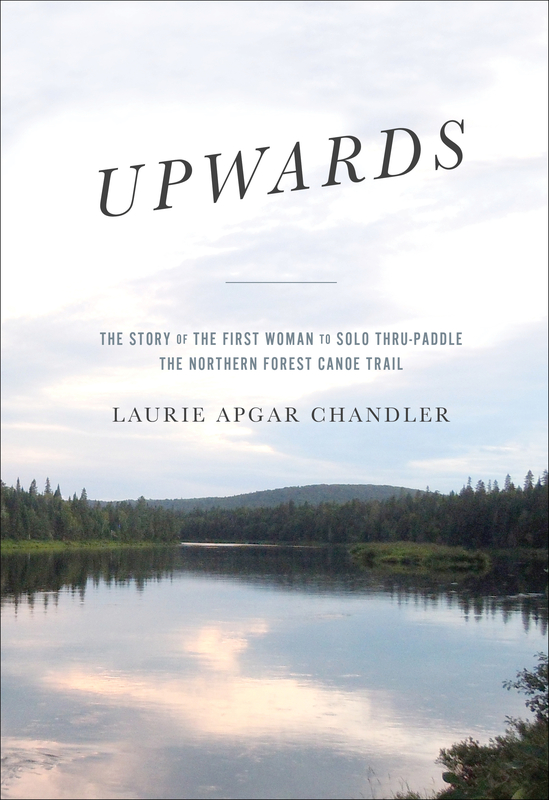 Author lachandler22Posted on July 3, 2017 Categories UpwardsTags book, Maine Authors Publishing, NFCT, Northern Forest Canoe Trail, thru-paddle2 Comments on Upwards: Two months to go! Three months out from what, you ask? Actually, many of you are deliberately NOT going to ask, as you’ve heard about little else from me for many months! Just in case, though – three months out from holding Upwards in my hands. That shiny new cover, those color photos, my words in print. Actually, the cover won’t be shiny. One decision firmly made is to have a “Matte/Satin” cover. And color photos? That’s my hope and dream, but I’m waiting anxiously for cost estimates for a center section of photos. No matter how thrilled I am about publishing, the whirlwind of life goes on. The end of the school year is upon us, bringing field trips and frenzy. This week, we visited the Maine Wildlife Park in Gray, Maine. Run by the Maine Department of Inland Fisheries & Wildlife, the park cares for and exhibits only animals that are unable to live in the wild. The more natural habitat areas were fascinating, while I struggled to watch two black bears panhandling for treats beneath a machine being fed by an endless stream of quarters, the huge glass window above obscured by a wall of captivated children. After taking the above photo, I decided that I would learn about the Canada lynx. (That’s Canada lynx, not Canadian lynx, just like the goose). The bobcat, also found in Maine, is a different critter. Similar in size and appearance, there are differences between the two species: Bobcat = shorter legs, smaller ear tufts, smaller paws, more likely to look spotted or striped and Lynx = the opposite. The tip of a lynx’s tail is solid black, the bobcat’s black on top and white below. Plus, in the deep snows of the north woods, a sighting will probably be a lynx, well-adapted for life there. Somewhat of a picky eater, the lynx dines on snowshoe hares at least 75% of the time, eating 1 to 2 per day. Historically, lynx populations have cycled up and down in rhythm with hare populations. In Maine, however, both have been booming for years, as young spruce-fir forests grow back following devastating waves of spruce budworm mortality. The young-growth timber provides ideal cover for the lynx’s favored prey. 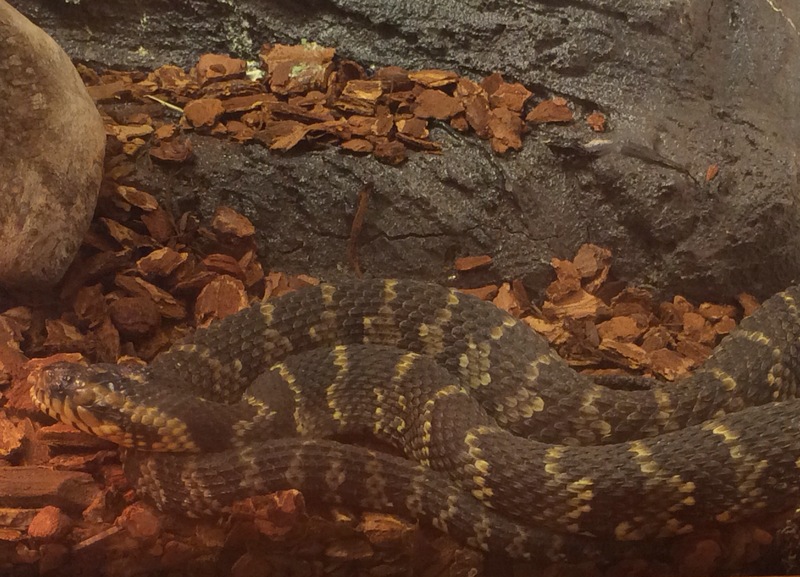 I can’t recall having seen a water snake in Maine, until my visit to the wildlife park. Research seems to indicate they live only in the southern half of the state, so my best chance will be during my excursions close to home. Out on the pond this week, it was cool and my sightings were all avian. It’s too early in the season to take the leaves for granted and the maples were particularly striking. Vivid red clumps of maple keys jumped out among the shoreline greens and pinks, and I tried to draw in calm as I paddled and let go of some of the excitement that is keeping ME keyed up! One afternoon, swallows had overtaken the water and swooped in acrobatic dance, surely happy to find many squadrons of mosquitoes on patrol. They can also drink mid-flight, quickly scooping up water from the surface. On shore, a solitary spotted sandpiper winged from stone to log ahead of me, the first time I’d observed this species on McCurdy Pond. Now, today, a quiet Saturday, I rose with the dawn again and hope to squeeze in another paddle among the expense-filing, permission-requesting, photo-choosing tasks of a busy soon-to-be-published author.